Hernandez strike earns Leeds a point. Swansea: Milder, Naughton, van der Hoorn, Rodon, Olsson (Asoro 83), Fulton, Fer (Carroll 74), Roberts, Celina, McKay (Montero 64), McBurnie. Subs not used: Benda, James, Grimes, Dhanda. 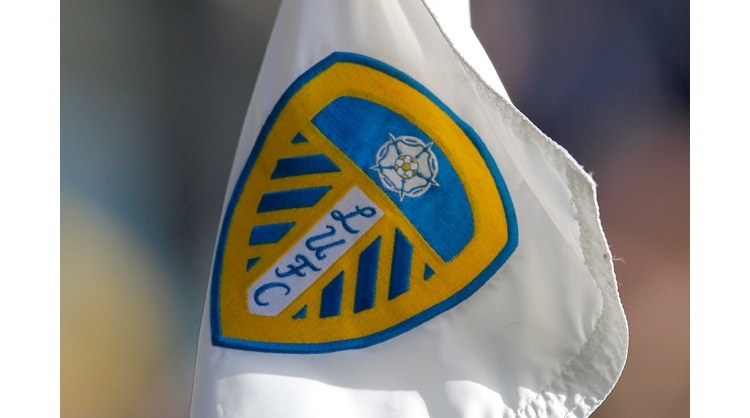 Leeds: Peacock-Farrell, Ayling, Shackleton, Berardi, Phillips (Baker 28), Douglas,Hernandez, Saiz, Klich, Alioski (Harrison 45), Roofe (Bamford 64). Subs not used: Pearce, Blackman, Shaughnessy, Rey. Leeds United midfielder Pablo Hernandez returned to the Liberty Stadium to haunt his former club Swansea City, by scoring an equaliser 11 minutes from time to secure a point in the Sky Bet Championship. The Whites were forced into an early change minutes before kick-off, with Liam Cooper injuring his hamstring in the warm-up, resulting in Jamie Shackleton starting. Swansea had the first chance of the game in the 14th minute, the ball fell kindly to Martin Olsson on the edge of the box, but he couldn't find the target. Barry Douglas then forced Erwin Mulder into action, with a low free-kick from distance. Swansea again threatened in the 22nd minute, Oliver McBurnie fed Connor Roberts and his effort deflected just off target. Two minutes later Swansea took the lead, Leeds were caught on the counter attack, Barrie McKay found Bersant Celina who sent through McBurnie and he did just enough to beat Bailey Peacock-Farrell. Celina then drove forward as the home side searched for a second, but could only fire wide of the mark. The Whites then went close at the other end, a corner was played out to Douglas and he found Gaetano Berardi with a free header, but he headed over. Celina then fired a dinked effort from the edge of the box for the home side, but his effort was just inches too high. With five minutes of the first half remaining, Leeds drew level, Jamie Shackleton got to the byline down the right, before playing the ball across goal and Kemar Roofe slotted home. After the break, Swansea had a chance to regain their lead, Olsson lifted the ball over the out coming Peacock-Farrell, but Swansea didn't get the bounce of the ball and Leeds cleared. Two minutes later, Swansea did go back in front, when McBurnie headed home an Olsson cross. Celina then delivered a free-kick for Swansea and Jay Fulton was just inches away from getting his head on it. McKay was next to try his luck, he fired a curling effort just over the bar from the edge of the box. On the hour mark Leeds had a great chance to level, Hernandez provided a pull-back from the right, but substitute Jack Harrison scuffed his effort. McKay then teed up McBurnie to strike just inside the Swansea box, but he was denied by a fine save from Peacock-Farrell. Leeds then did equalise, when substitute Patrick Bamford provided a great dummy before racing down the left wing and he then provided a fine ball for former Swansea man Hernandez to convert and send the travelling support wild. Swansea had a big chance to level with five minutes remaining when Celina went through on goal, but Peacock-Farrell made a fantastic save, to ensure Leeds came away with a point.